English Music Geek: English Conversation classes all about alternative music! LEARN AND PRACTISE ENGLISH THROUGH ALTERNATIVE MUSIC! Listen to the music, find out about the bands, look at the lyrics... Then we'll practise our English! Meet friendly, like-minded music fans! Share facts about the bands and artists on the playlist, how did the music make you feel, have you seen them in concert? Does it remind you of someone else? What do the lyrics/titles mean? Join us and let's talk about music and learn English! 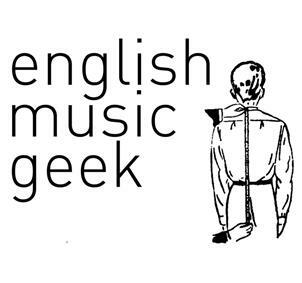 Muchas gracias por haberos interesado en el grupo de English Music Geeks, pero por el momento y hasta no sabemos cuándo estaremos inactivos. Podeis hacer me gusta a nuestra pagina de facebook y ahi os informariamos de nuevos eventos. I would like to meet people and have fun times! My name is Laura, 29 years old. I am learning english, I have intermediate level and I would like to meet new people, to know new cultures, improve my english and make new friends!. I hope to go soon to an english meeting!. It must be interesting. I like improve my English! I am a friendly guy with curiosity in English language and people. With this group I think people can share music, playlist and comments. These words will help us to maintain a quality community. I think this is the perfect group...how knows? Hola, me gustaría mejorar hablar mi inglés. Es por eso que deseo unirme. Por otro lado me gusta la música mucho y creo que sería una buena manera para poder aprender el idioma. Hello Susana. My name is Javier. I like speaking English a little. My level is low, but it is not important. Could we think about meeting in Barcelona? Learn English with other music geeks! If there anybody can talk with me in English? I want to practice my English, because after learning Spanish, and I think my English has got lost. I'm a chinese girl, if somebody is interested in learning chinese, I can help you, thanks!! !